This mod is a an overhaul of Colored Wood Mod. 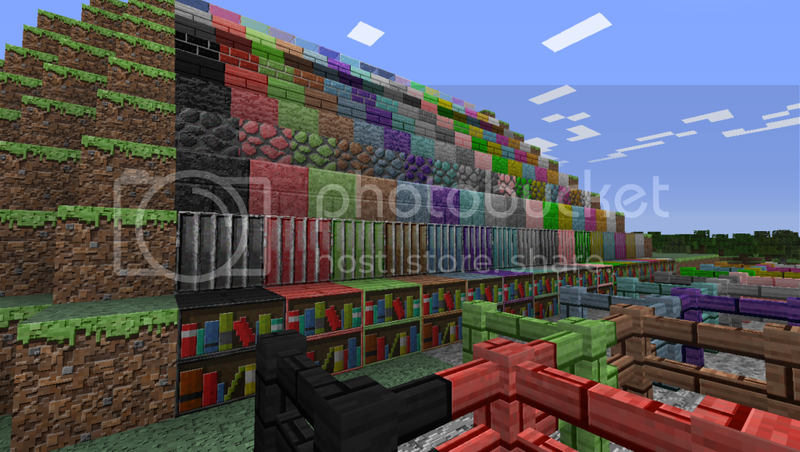 All blocks except for fences are in the Building Blocks creative mode menu. Fences are in Decoration Blocks. 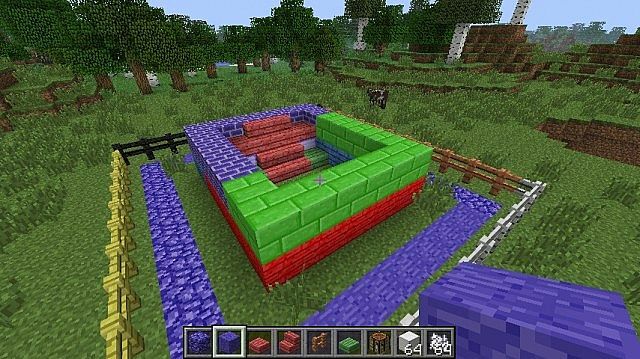 2.Copy the archive "ColoredBlocksMod2.3.1zip" to the mods folder in "C:\Users\*YOURNAME*\AppData\Roaming\.minecraft"
Config File-In your .minecraft/config folder, there will be a file called coloredblocksmod.cfg. If your other mods' IDs conflict with Colored Blocks Mod, change the number int the config from 450 to whichever number you want between 450 and 3950.Note that this mod will use all the id's from that number to 50 from it. Ex :450 would use IDs 450-500 . Yeah, I know. I can't fix it, it is Minecraft's fault. If you have any issues, comments, or suggestions please voice them below!Don't forget to press the button if you enjoy this mod! 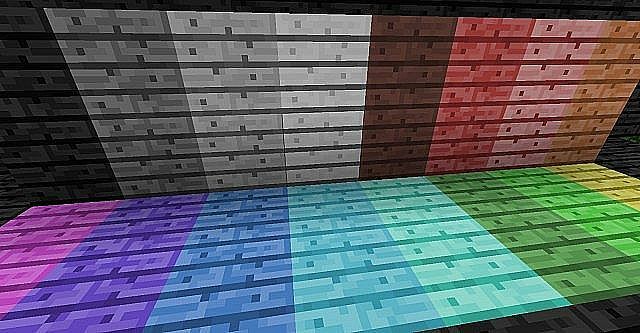 Colored Blocks Mod-190 new blocks! If I helped you, click the green button! The download link was hard to spot... try a darker Cyan color. Think you should work on the coloring a bit more. 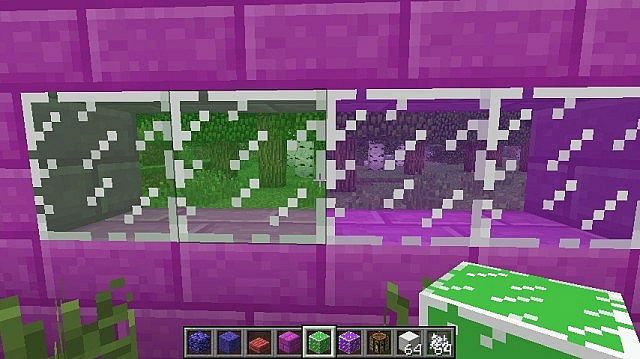 People that make these types of mods just add a color filter over the blocks and they feel out of place. Fantastic mod. Neat and clean and to the point. Can I add suport for this mod in my texturepack. Also, what about some carved stone, that would rock! What do you mean by carved stone? I get thousands of views on all of my videos, Please contact me if you would like a mod spotlight. Please unique and interesting mods only. "What do you mean by carved stone?" Sorry, chiseled stone brick 98:3 also known as circle stone. I'll be updating my texture pack on friday with this. Slightly tweaked. Sure, I'll add it next update. Also your DL link here is dead. I got this mod from Planetminecraft. [WARNING] To start the server with more ram, launch it as "java -Xmx1024M -Xms1024M -jar minecraft_server.jar"
My bad, I fixed it. Thanks for the heads up. I'll work on the MP issue this afternoon when I get the chance. My bad, I fixed them. Update- v2.1.0-Added Chiseled Colored Stone Bricks. This mod is great. I really don't know why Notch don't add things like that, 'cause it makes Minecraft a lot better and more diversified. So, this is my new favorite mod. Good job, and keep at it! Could you please make a config file? It would help solving ID conflicts.